The outrageous '57 Chevy Wagon of Australian NHRA Top Fuel driver Richie Crampton and Swedish NHRA Funny Car racer Jonnie Lindberg was the talk of Hot Rod Drag Week. 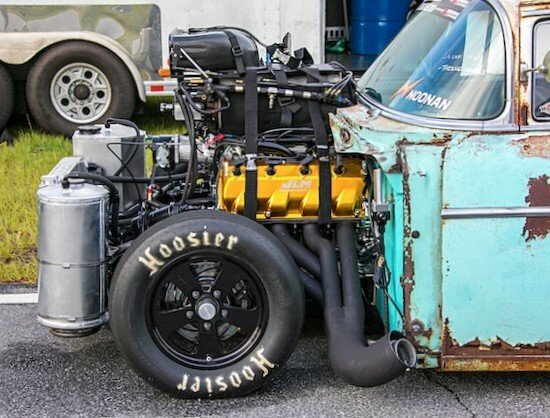 It ran in the sixes at 200+ mph on just its third run ever and did it the hard way – instead of the sensible, proven formula of big cubic inches, a turbo, and/or nitrous on one side of the firewall and an automatic transmission and torque converter on the other, they opted for the almost unthinkable combination of an engine straight out of a 270-mph Alcohol Funny Car, a 3-disc pedal clutch, and a 3-speed Lenco transmission. It all started when Crampton and Lindberg met in Indianapolis one Saturday morning last spring to check out a '54 Cadillac for a friend of Lindberg's back in Sweden. "We decided to have lunch downtown, then we decided to have a beer, then we had a few more," Crampton said, laughing. 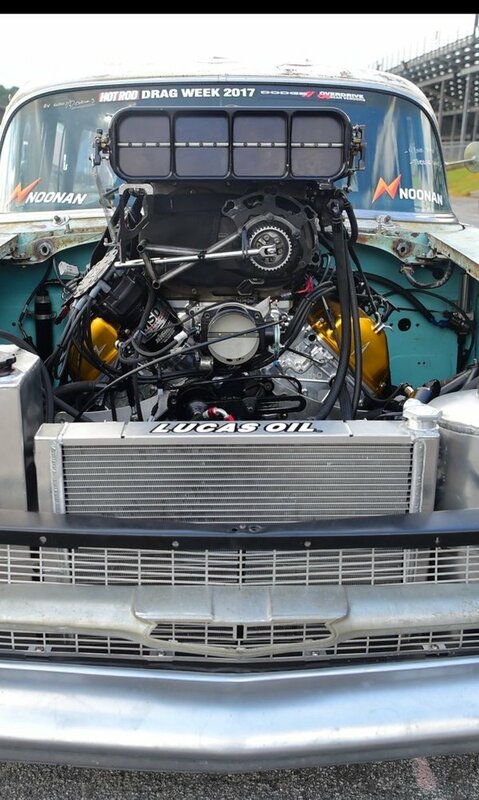 By the time the last mug hit the table, a plan had been hatched: stick an engine just like the one from Lindberg's record-holding Top Alcohol Funny (not the nitro Funny Car he drives for Jim Head Racing) in Crampton's '57 Chevy 210 Wagon. "It's kind of funny how it all went down. I told Jonnie, 'Wouldn't it be cool if we could put the engine from your Alcohol Funny Car in my car and take it to Drag Week?' And he just said, 'Why couldn't we?' 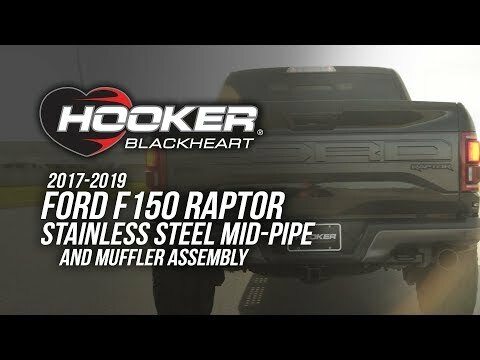 "
It was pretty straightforward, actually: to drive the car on the street, they'd just take off the blower belt, leave the blower on, put a throttle body where the burst panel goes in the manifold, hook up a half-inch alternator belt off the crank pulley, and let Holley EFI take care of everything the mechanical fuel injection system does at the track. They didn't even have to remove the magneto, leaving it in place, moving the coil wire over to the Blaster coil, and, with the help of an MSD 6AL ignition box fired by the Dominator ECU, using the MSD magneto as a simple distributor. The engine is identical to the one that powered Lindberg to the still-standing NHRA Top Alcohol Funny Car national record (5.361 seconds in a quarter-mile) more than three and a half years ago, a 521 cubic-inch Hemi with a Noonan billet aluminum block and cylinder heads and a screw-type supercharger – with a few notable exceptions. This Noonan block has water passages for cooling, the overdrive is much less (70%) than the NHRA TAFC limit of 92%, the timing is backed down considerably, and the fuel system is significantly richer than when Lindberg was blasting down the track at 270 mph. After the last of who knows how many late-night thrashes over the summer in between events on the 24-race NHRA pro tour, they fired the car for the first time just hours before Drag Week got under way at Atlanta Dragway. Lindberg has been over 330 mph and Crampton has come as close as possible without doing so (career best: 329.91 mph), but, like everyone else in the world, neither had ever driven anything like this. A Funny Car hardly resembles a '57 Chevy wagon, obviously, but it's closer to one than a dragster is, so Lindberg got to drive. (Crampton eventually will, too.) In a maiden voyage Lindberg called disappointing and Crampton termed embarrassing, Lindberg clocked an 8.39 at 134 mph, shutting off in high gear – only the engine didn't shut off and he wasn't in high gear. The trans popped out of gear, sending the rpms to the moon, and the throttle stuck. Forced to tune blindly without the benefit of a Racepak data recorder, they got the car to run an impressive 7.13 at the next stop on the Drag Week tour, zMax Dragway in Charlotte, followed by a 6.98 at 207 mph later that day that made all the work worthwhile. "I'll be honest, there were a few times when I thought, 'What the hell have we gotten ourselves into?' " Crampton admitted. "This isn't the easiest way to do this." So how did this race car in sheep's clothing actually perform on I-85 on the nearly 200-mile trek from Atlanta to Charlotte? 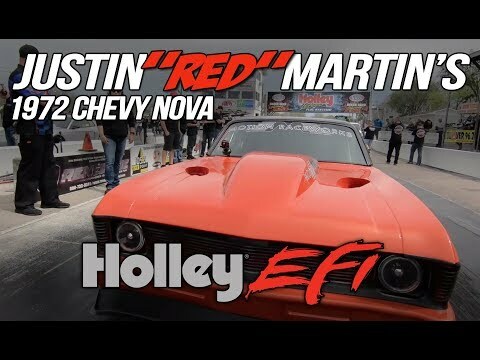 Perfectly, thanks in large part to the functionality and ease of use of the Holley Dominator EFI system. Crampton and Lindberg adapted GM-style sensors and integrated the MAP sensor, IAC, and TPI, and everything worked exactly as it was supposed to. "There was a global file in the Holley system that we plugged right into the Dominator ECU, and the car fired right up the first time," Crampton said. "We just switched to the Blaster coil, and ran it on 93 octane gas. It even got 9 miles per gallon." Other motorists' reaction to it was mixed. "We got a lot of strange looks," Crampton said. "About 40 percent of the them had expressions like, 'What's that?' They were horrified. The other 60 percent gave us thumbs up. A Lenco transmission has no neutral and it got so hot it made the whole inside of the car hot. We got stuck in traffic a few times and you can't see around the blower at all, but it was so fun to drive on the highway it was almost better than running it at the track." They barely made it back to Indy in time to catch flights to the next NHRA national event, in Reading, Pa., but their journey is far from over. "We'll be back," said Crampton, who helped Lindberg run the car one more time, resulting in a 6.93 at 203 mph in horrible atmospheric conditions on a Wednesday night test-n-tune at their local track, Lucas Oil Raceway at Indianapolis. "If you wanted to run in the 5s at Drag Week, you wouldn't bring a 3,600-pound car like this – it's as un-aerodynamic as it gets. The tune-up has been super-safe because we're just getting started and still really don't know what we're doing. We have all kinds of ideas. The car has only been down the track four times, and it's gone quicker every time. I know all the OG Drag Week guys were checking out us nitro racers and they probably weren't too impressed, but we're not done yet."